Below are some AIT success stories, submitted by parents whose children participated in AIT! Read a 3 year old boy's diary of AIT success written by his parents. A 5 year old boy diagnosed with Autism and his AIT At Home journal. A 6 year old boy diagnosed with Autism and his AIT At Home success journal. ADHD and AIT - A Stunning Success Story! A 12 year old boy diagnosed with ADHD and pyroluria has amazing success after AIT At Home! A 7 year old boy's success story after AIT, San Jose, CA, USA. A success story of a family of 4 children and parent who also did Berard AIT, Campbell, CA, USA. A success story about a 7 year old boy's dramatic improvements after AIT San Jose, CA, USA. Improvements in two school age autistic brothers, Houston, Texas, USA. A 9 year old girl's success story for autism, Florida, USA. A 5 year old boy's success story with autism diagnosis and hyperacute hearing, Louisiana, USA. Autism Success for Father and Son! A father and his autistic son - read both their success stories with AIT. A 10 year old girl's success story after completing AIT on 3 different occasions, Queretaro, Mexico. A 5 year old boy's success story for autism and auditory processing disorder, Bay Area, CA, USA. Reduced echolalia in a 3 year boy old after AIT, Bay Area, CA, USA. Impressive improvements with AIT therapy for non-verbal boy with autism, age 5, Louisiana, USA. Remarkable shifts after AIT with autism and severe head banging in a young boy. 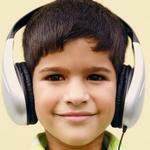 Excellent improvement after AIT in hypersensitive hearing boy age 5, San Jose, CA, USA. Speech and language improvements after AIT and mainstream school for boy with autism, Asia. Success story about Ben, age 6 on the autism spectrum with hypersensitive hearing. Read 3 stories from an AIT Practitioner from her client in children with autism, South Africa. Severe head banging diminishes dramatically in a 2 year old boy with autism after AIT. Impressive improvements in a child age 6 with Down's Syndrome, Canada. 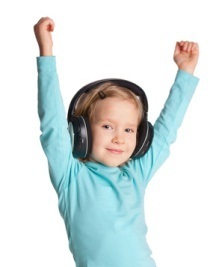 Improvements after AIT in a boy age 9 with dysgraphia and hyperacute hearing, Texas, USA. 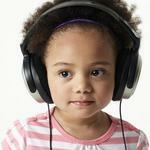 Improvements in dyslexia and auditory processing after AIT in 7 year old boy, New Jersey, USA. A boy age 6 with improved focus, speech and marked reduction in sensory issues after AIT, Canada. Results for a 4 year old and 2 year old brother who both did AIT, Alberta, Canada. Hypersensitive Hearing Treatment and AIT - Stunning Results! Stunning results for a 9 year old boy and his father, both with severe hypersensitive hearing after AIT. Significant improvements in sensory processing issues in a 5 year old boy, Houston, Texas, USA. Sensory issues improve in a school age brother and sister who did Berard AIT, Edmonton, Canada. Remarkable changes in a 3 year old girl with hyperacute hearing, speech and sensory issues, Pennsylvania, USA. Three children with autism improve in speech and language in a child center after AIT. Incredible improvements in vocabulary and sensory issues in a 3 1/2 year old girl, New Jersey, USA. Instantly and spontaneously corrected speech and language delay, 5 year old girl, California, USA. Marked Improvements in a 6 year old boy with stuttering after Berard AIT, South Africa.